Subscriptions on the Dashboard are divided by products. Click on Active subscriptions under the product in question to view the subscriptions list. You will see the list of active subscriptions for the particular product. The list displays subscription renewal or expiration date and the number of licenses it includes. 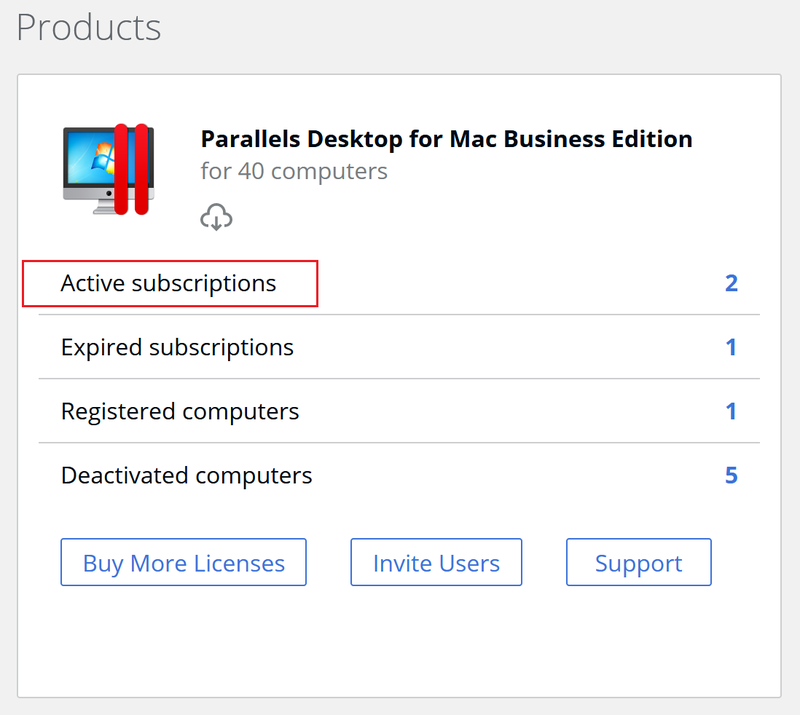 To learn how to view details of a business subscription in a Parallels business account, please see Viewing details of a subscription registered in a Parallels business account.